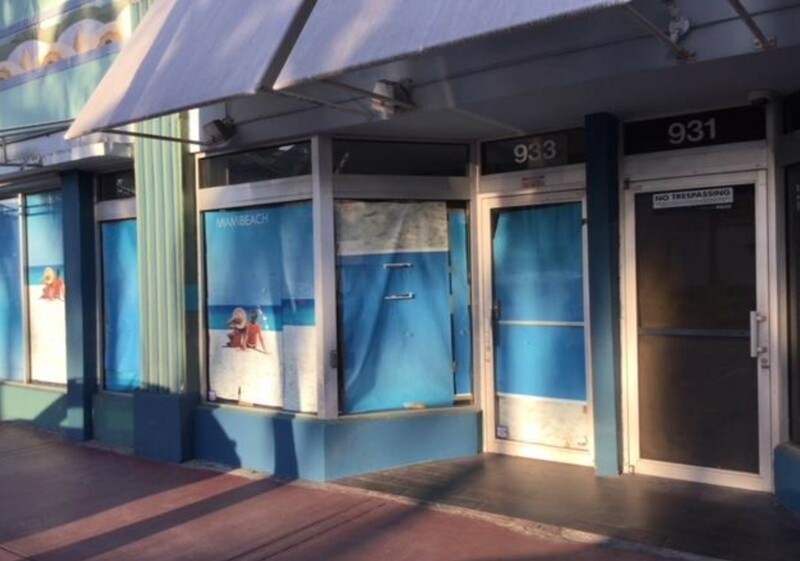 Miami Beach Commissioners are turning their attention to the number of vacant storefronts in the City. Ricky Arriola, Chair of the Commission’s Finance Committee, started a lively conversation on Facebook recently when he posted an article from the New York Post about the idea of a vacancy tax floated by New York City Mayor Bill DeBlasio. In an effort to understand what’s causing the vacancies and how the City can provide incentives for landlords to fill their stores, Arriola and the Finance Committee sought an inventory of vacancies and ideas from City staff. 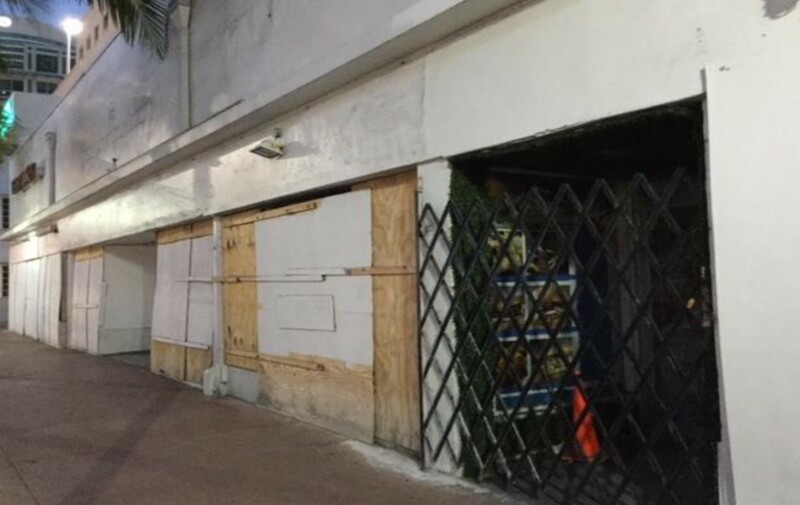 Miami Beach Economic Development Manager Michelle Huttenhoff says her department worked with Code Compliance to put together a vacancy count of five of the City’s denser commercial corridors. The count included only ground floor storefronts. Huttenhoff said this first pass did not take into account properties that are under a current building permit or actively recruiting tenants. For example, Washington Avenue is in a redevelopment phase following implementation of the street’s Master Plan and several projects are either under construction or about to start. On Ocean Drive, a quick check of the ten properties listed indicates at least five that are not of the problem vacancy variety. The Celino Hotel is under construction on two of the properties listed, the restaurant at the Cardozo is under renovation and will return, the Tides Hotel has been closed following damage from Irma and is under renovation, and the owners of 1200 Ocean Drive are reportedly in final stages of discussions with a restaurant tenant. Next step is to cross reference the addresses identified with the City’s BTR (business license) list and SunBiz, the state’s business registry to get all of the property ownership information. Until that information is gathered, she said, it would be premature to make any recommendations although she shared some anecdotal information to date. “What we’ve been hearing is a few different things,” Huttenhoff said. “One, rent is high because of property values and it’s difficult to bring tenants in.” Others are waiting to see who the best tenants are that they can attract. Commissioner John Alemán noted the construction on Washington Avenue indicates the incentives put into place under the Master Plan are working and those sites should not be considered vacancies for this analysis. “What drives me crazy is Lincoln Road,” she said. “There’s no active construction and the rents are sky high but that’s the property owners’ decision. We can’t control what rental prices they charge. I understand if somebody makes a property acquisition, then there’s financing issues about what they can or can’t take, that’s one thing but that I don’t think is the case on Lincoln Road.” In some financing agreements, owners have a minimum rent they are allowed to charge or their loan can be recalled, leaving them stuck with a vacant property if the required rent is too high. “So then we look at spending $40m on a Lincoln Road Master Plan to make the whole area even more fabulous and gorgeous and I want to do that but I don’t want to do that if all they’re going to do is charge even higher rents and have vacant storefronts … That animal bothers me,” Alemán said. Residents have been worrying about the Lincoln Road vacancies for the past year. RE:MiamiBeach found a significant number of vacancies last summer. 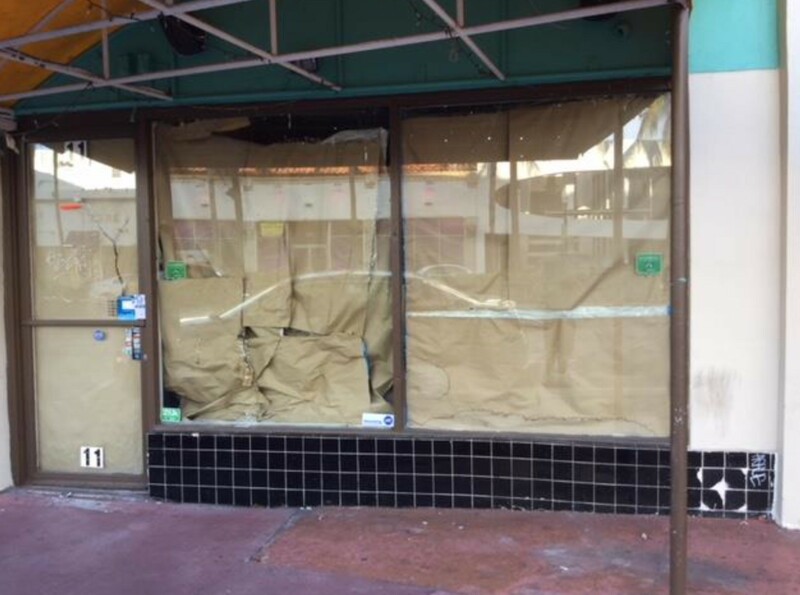 Huttenhoff said San Jose recently passed an ordinance calling for a storefront vacancy registry. “After 60 days you have to self-register an address as a vacant property and then put forth your plan of action to recruit a new tenant or if there’s a permit” for construction, she said. “I believe for them it’s about 300 days if there hasn’t been progress made they invoke an annual registration fee.” In addition to supporting the program, Huttenhoff said the fees also go into a business incentive program to support small businesses. With a vacancy registry, she said, City staff and Chambers of Commerce can help attract businesses to vacant properties. Commissioner Mark Samuelian said once the initial data is collected, he would like to see it updated periodically to show trends. He also wanted to know if the vacant storefronts were following City code with regard to aesthetics. 933 Washington Avenue with "blue wraps" provided by the City. Photo courtesy City of Miami Beach. 710 Washington Avenue. Photo courtesy City of Miami Beach. 1541 Washington Avenue. Photo courtesy City of Miami Beach. “I’m not looking to tax anybody. I’m trying to solve a problem,” he said. For the staff report on vacancies, click here.